PokerStars LIVE Manila ran for seven days from October 1 to October 7 at City of Dreams Manila. As always, Filipino players flooded the felt and in the aftermath, they captured 8 of the 15 trophies. Among the winners were Lester Edoc and Alexis Lim. However, the top prize went to Singapore’s Tan Wah Meng for his victory at the Main Event. He is the latest PSPC Platinum Pass winner from Asia. All those stories below plus the official awarding of Mike Takayama as the 2018 APOY winner. This year has been quite the breakthrough for Filipino pro Mike Takayama. 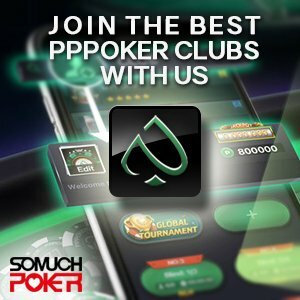 Already a highly recognized player in his country, Takayama etched his name in poker history as the first homegrown Filipino to win a WSOP bracelet. Adding to his achievements, he was officially awarded the 2018 PokerStars Asia Player of the Year title. He was also the first Filipino to attain such honor. Takayama accrued a total of 10,230 points and HK$1,726,351 in winnings. He reached the final table 10 times with two of them victories. For his triumph at the Manila Super Series 5 Main Event, he was the first Filipino to capture the PokerStars Players Championship Platinum Pass worth US$30,000. Prior to his victory, Tan’s largest score was ~US$8,600 for finishing 8th at the APL Vietnam Main Event. With this big win under his belt, his new personal benchmark is now PHP 1,182,500 (~US$21,800). Tan becomes the 24th Asian player / third Singaporean to win the trip to the Bahamas in 2019. Previous winners from his country were Wilson Lim, Tzai Wei Phua, and Ignatius Meng. The Main Event paid out 141 places. Among the notable players in the top 20 were: Martin Gonzales (9th), Adones Carmona (13th), Jessie Leonarez (16th), and William Ysmael (19th). The series opened with a big turnout of 558 entries for the Warm Up event. This generated a smashing prize pool of PHP 2,381,544 (~US$44,000). Filipino player Vamerdino Magsakay overcame the competition besting other fellow countrymen at the final table such as Christopher Mateo, Luke Pangan, and Michael De Leon to win PHP 330,000 (~US$6,100). Magsakay has been producing good results all year. Though all of his achievements have been earned in his home country, with this victory, he is now at 20 cashes for the year. With the festival loaded with local players, pros were bound to win something. Metro Team Pros Lester Edoc and Alexis Lim lifted one each. Edoc won the PHP 8,000 buy-in NLH event topping a field of 92 entries. He earned the lion’s share PHP 166,800 of the PHP 628,249 prize pool. 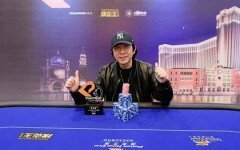 Edoc defeated Macau’s Ip Seng Long at heads up. Edoc also cashed at the opener in 21st place and at the Main Event in 60th place. As for Alexis Lim, he was on fire, which he always seems to be at these local events. Lim cashed in four events with a victory at the PHP 5,000 Megastack – Big Blind Ante. He overcame a field of 238 runners and pocketed PHP 192,000. His other deep finishes was 5th out of 102 at the PHP 15K NLH Shot Clock event, 9th out of 120 at the NLH Turbo, and 62nd at the Warm Up. This officially marks the end of PokerStars LIVE Manila at City of Dreams Manila. The brand had a very successful four-year run having opened the room back in December 2014. No details have yet been released of their 2019 Manila events.